UPDATED 8:12 p.m.: Just a quick update – This fire or smoke condition or whatever it is near 75th Ave. is actually impacting pretty much all of the trains heading to Forest Hills tonight. And from what I hear, the conductors are giving people on the trains virtually no information about what is causing the horrendous delays other than “train traffic ahead.” Meanwhile, what should be a 30 minute ride is turning into about an hour and a half for most of them. 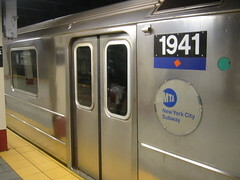 If you are waiting for someone to get home tonight, the MTA is reporting a “smoke condition” at 75th Avenue, affecting the F, M and R lines. So that might be the reason for the delays. Just thought I’d put the word out, since God forbid any of the local “news” would cover such an insignificant thing as thousands of people being delayed due to a fire somewhere in the subway system. Now, if there’s a car holding up traffic somewhere, that’s a whole other story. While I’m on the topic, when are they going to get cell phone or at least internet service down there in those tunnels so we can communicate with our friends and loved one’s when there are delays like these?? Pathetic! Delays continued on the Long Island Rail Road Tuesday, and Amtrak suspended service on the Northeast Corridor. What a transit nightmare! In case you were not aware, trains along New Jersey Transit’s Northeast Corridor line were also put out of commission this morning due to an electrical fire, further adding to the travel woes. My thinking is it’s amazing these transit system breakdowns don’t happen more often. The same people who shoot down every attempt to find additional sources of sustainable funding for our transit system — remember congestion pricing? — are the first one’s you hear blaming our deteriorating public transit system on the MTA itself. Yes, I’m sure there is some mismanagement in the MTA. But isn’t there mismanagement to some extent in most organizations? I’ve always thought the City should take over control of its subways. Why should outsiders have a say in our system? That is crazy. 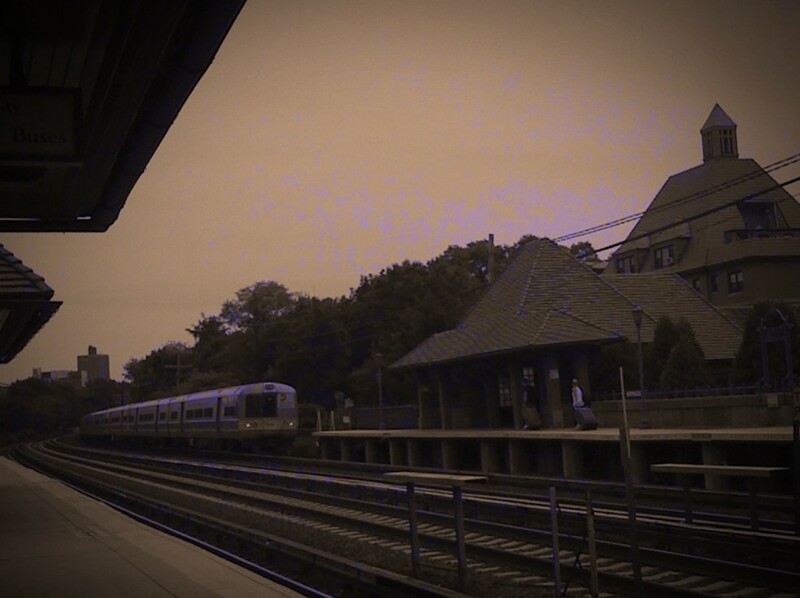 And this photo on the right, of our deteriorating Forest Hills station, is what you get as a result. But really, you have to fund it to run it. In case you have been actually doing what you’re supposed to be doing today (working), and haven’t had a chance to check the news, this is shaping up to be a major headache for this evening’s rush. Try to arrange an alternative way home if you regularly take the LIRR. 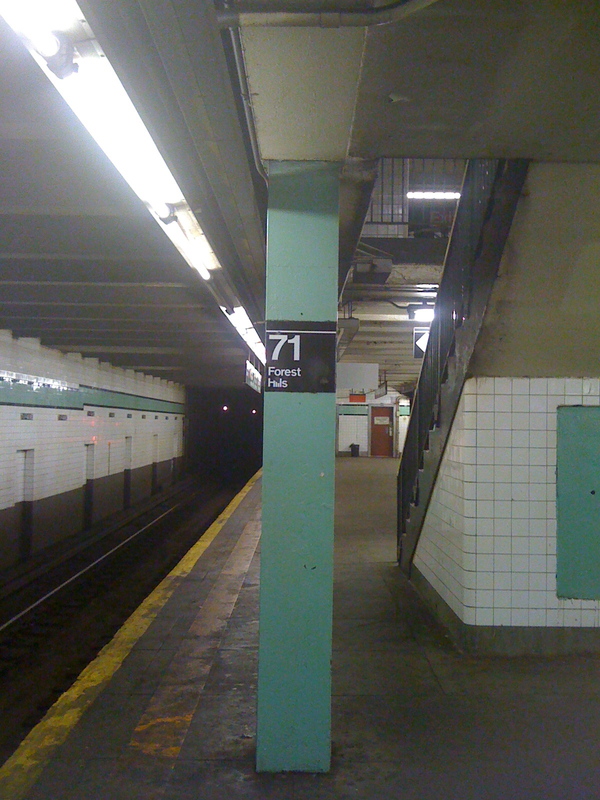 Luckily, we have the subway – let’s all pray that holds together for the rest of today. 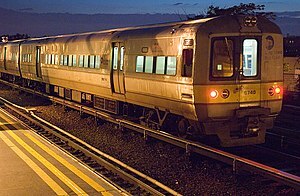 The Long Island Rail Road has been stopped almost dead in its tracks since 11 a.m. due to a fire in a switching tower. I think this is potentially some of the worst news I have seen in quite a while for the city if you consider how the unlimited MetroCard has transformed riders’ habits and opened up the entire city to its residents. With an unlimited MetroCard you thought nothing of hopping on the express train from Forest Hills to spend an afternoon in Manhattan. Now, you very well might think twice. Bad for Forest Hills, bad for Manhattan, bad all around. The proposals are to be unveiled Wednesday, just weeks after severe service cuts were imposed on the transit system. Saw this on the 4 train this morning.